Maybe you've heard the umbrella term HVAC being thrown around but aren't quite sure what the acronym is all about. Simply put, HVAC is what we're all about, and it consists of three separate yet equally important parts. The 'H' stands for heating and can refer to any heating unit inside a home, be it a radiator, a furnace or something else. Many feel that heating comprises the bulk of a HVAC system due to its importance, but that's not exactly true for reasons we'll explain later. Still, a good heating unit is an integral part of any home no matter the region. The 'V' stands for ventilation around the home or office and refers to two things: the ability for fresh air to enter the room and for polluted air to exit it. While it might not seem as important as having a good heater when winter hits, make no mistake about it – you won't have an enjoyable time inside your home with poor ventilation. Ventilation that isn't up to standards can cause various health issues, most often in the form of dirty air ducts that are constantly polluting the home with bacteria and allergens. Lastly, the 'AC' stands for air conditioning, most often referring to an AC unit. 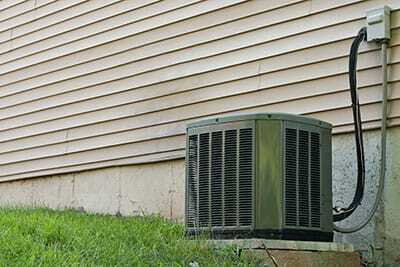 While ACs are capable of heating the room, they are primarily used to cool things off once the summer hits hard. Depending on where you live, a good AC unit could be much more important than a heater – some people have a poor tolerance for high temperatures and being forced to spend time in a boiling indoor area could quickly detriment their health. Every home should have a working HVAC system with no issues whatsoever. Unfortunately, this is easier said than done, and we've found that most homes lack something of the three, often without the home owners being aware. HVAC should be treated no differently than, say, windows or furniture – a key element of any home or office that provides comfort and makes spending time inside enjoyable. We advise home owners to have their HVAC system checked regularly, and not just season-specific – for example, if you're asking us to check your heating system ahead of winter, it's better to have us check the entire HVAC while we're there. 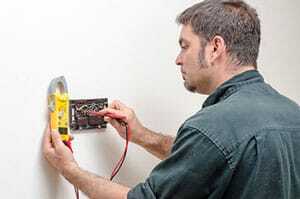 Of course, Boerne Air Conditioning Experts specialize in the installation and repair of every HVAC unit you could think of, from wall-mounted heaters to new and improved air ducts and all the way to the heat pumps of old. Don't suffer from a lack of comfort any longer – have us come over and check your installations to better prepare for the coming seasons. There aren't many better ways to prepare than to keep your HVAC in shape, nor are there more efficient ways to make your home enjoyable. While HVAC consists of a wide array of units and technicalities, you can count on Boerne Air Conditioning Experts to do a quick job no matter what the specifics are – we'll be out of your hair as soon as we've double-checked that everything is in perfect shape.